Crew Dragon came back to Earth. And now ? A week after taking off, Crew Dragon’s adventure in space is already over. The SpaceX‘s space capsule has only been docked for 5 days with the International Space Station. The ISS crew therefore did not conduct a lot of operations in the space capsule. During the first entry into the Crew Dragon, the crew wore masks. This is a standard procedure on the ISS. SpaceX’s space capsule is cooled by a gas, Freon. In the event of a leak, this gas can generate asphyxiation. The astronauts therefore wore their masks to take measurements of the air. Once certain that the atmosphere of the Crew Dragon had no trace of Freon, the astronauts were able to remove the masks. The crew then unloaded the cargo from the space capsule. After undocking with the space station, Crew Dragon returned to the atmosphere on Friday, March 8 in the early afternoon. It was probably the most dangerous step of the mission. Crew Dragon has a slightly asymmetrical shape compared to the Dragon V1 capsule, with a small risk of instability in the atmosphere. The SpaceX simulations show that the space capsule should not suffer, and that’s exactly what happened. After entering the upper layers of the atmosphere at orbital speed, the SpaceX’s space capsule ended its descent under four large parachutes, then gently landed in the Atlantic Ocean. Despite the violence of its atmospheric reentry and its bath in seawater, this capsule should be reused for an emergency escape test in flight, which is the next stage of qualification for the Crew Dragon. This should take place in June. Despite a successful first flight, there is still a lot of work at SpaceX and NASA before flying men on this new spacecraft. The next few weeks will be used to analyze all the space mission data and possibly identify areas for improvement. The first performance of Crew Dragon seems to have been excellent, even better than expected. We can therefore hope that the continuation of the program will not be too late. How will the end of the Crew Dragon test flight go, and what will happen next ? Last Saturday, a Falcon 9 Block 5 put the space capsule Crew Dragon in orbit. This test flight is going perfectly. After being released by the second stage of the Falcon 9, the Crew Dragon and its passenger, Ripley dummy, docked with the International Space Station. On Sunday, early in the afternoon, the Crew Dragon hatch was opened and the space station crew began recovering the 180 kg of cargo stored in the space capsule. This first visit of the ISS will be short because on Friday, Crew Dragon will be released from the space station. After two more orbits, the space capsule will return to the atmosphere before landing in the ocean, which should conclude the demonstration mission. The secondary objective of this test flight was to recover the first stage of the Falcon 9. This was also a success. It is now necessary to plan a flight with a crew on board. A few hours before the launch, the astronauts who participate in the Commercial Crew program walked on the bridge leading to the spaceship, to become familiar with the adventure they will live in a few months. SpaceX has dreamed of sending men into space for 17 years, and this goal has never been so close. The 8 years period without orbital flight by an crewed American spacecraft will end. The US space agency and its partner SpaceX are planning a first crewed flight in July, but this date might be postponed because SpaceX is still working on minor details of the Crew Dragon, especially on software. These changes will require many weeks of certification. We can nevertheless reasonably expect a launch in 2019. SpaceX’s first habitable spacecraft flew to the International Space Station on Saturday morning, unmanned for the moment. The orbital maneuvers and docking with the ISS went very well. Inside the Crew Dragon, there’s one dummy named Ripley and some cargo. What are the touch screens in the Crew Dragon capsule for? The Crew Dragon spaceship control system consists of three large touch screens located just in front of the commander and mission’s pilot. The piloting experience on Crew Dragon is therefore almost completely disregarding the traditional control systems in spaceships. SpaceX wants to keep some physical buttons located under the left and right screens. On the screen of the center the astronauts control the emergency escape. This activates the SuperDraco engines to expel the space capsule if there is a problem with the launcher. Astronauts should not have much to do during the flight because the Crew Dragon is highly automated. SpaceX has done everything to ensure the reliability of its system and we imagine that the most important functions are those that are doubled with physical buttons. Touch screens sometimes have a bad image because consumer electronics is not always designed to be very reliable. The system that equips the Crew Dragon has been designed for the worst situations. Touch screens are starting to be used more and more for piloting. For example, Airbus wants to install them in the cockpits of its future A350s. The Boeing CST-100 Starliner will also be equipped with large screens, but they will not be touch-sensitive. Boeing, however, promised that the controls would be much simpler than those of the US space shuttle, which had 2100 switches. SpaceX will soon make the first flight of its space capsule Crew Dragon. Following discussions with more than 100 experts, NASA agreed last Friday to plan the launch on March 2nd. In the event of an unforeseen event, the following launch windows are set on March 5th, March 8th and March 9th. The unmanned Crew Dragon space capsule will go to the International Space Station. Docking should take place the day after take-off. The space capsule will remain docked until March 8 before landing in the Atlantic Ocean. This first test flight does not mean that SpaceX’s new spacecraft is fully qualified by NASA. The US Space Agency still has some questions about the operation of SuperDraco engines and the behavior of the onboard computer in some very specific scenarios. NASA and SpaceX hope to collect a lot of data from this first operational flight to possibly make some changes before the first manned flight, which will not take place until July 2019. This time too, the spacecraft will stay a few days into space. Between these two missions, probably around the month of April, an in-flight escape test of the Crew Dragon will take place. SpaceX and NASA take their time with the Crew Dragon until it reaches its full potential. The spacecraft will then do at least six manned missions for NASA. As the US government’s finances are still deadlocked, the date of the first launch of the space capsule Crew Dragon continues to be postponed. At best, it will take place at the beginning of March. This does not prevent SpaceX and NASA from continuing the preparations for the launch. The 39A launch pad of the Kennedy Space Center is slowly changing its appearance. The visual codes of a Falcon 9 Block 5 are used, white and black. The tower, the footbridge and the rocket will clearly stand out from the aesthetic side. If we add SpaceX’s famous space suits, we find almost the codes of science fiction. SpaceX has many challenges to take up in 2019, including a first attempt at manned flight in a month or so. SpaceX’s Crew Dragon space capsule will make its first unmanned orbital flight soon. If everything goes well, it could embark astronauts from next summer. Some photographs of the Crew Dragon mounted on top of a Falcon 9 circulated on the internet. On one of these photos, you can even see the access ramp that SpaceX designed to give access to the space capsule. The goal of the test flight in a few weeks will be to test all phases of a typical mission to the International Space Station (ISS). After it goes into orbit, the spacecraft will make an automatic approach and docking to the ISS. It will stay there a few weeks before entering the atmosphere and come to land in the ocean. This first flight was scheduled for January 17 but with the new shutdown of the US government, the schedule is much more uncertain. It has been several years since the return of a manned orbital flight capacity for Americans. SpaceX is expected to be closely followed by Boeing, which will also begin orbital testing of its CST-100 Starliner space capsule this year. The first mission of NASA’s Commercial Crew Development (CCDev) program will be conducted by SpaceX’s Crew Dragon capsule. The company relies on the Dragon spacecraft. This cargo version of the spacecraft was first developed internally by SpaceX before being integrated into the COTS program. Since its first test flight in 2012, it has led fifteen missions to the ISS. SpaceX relies on a relatively solid base but things are very different in the end when it has to flight cargo or men. On June 28, 2015 a Falcon 9 rocket carrying a Dragon spaceship exploded. The spaceship could have survived by deploying its parachutes but this situation had not been planned in the on-board computer. With astronauts on board, the loss of life would most likely have been deplored. 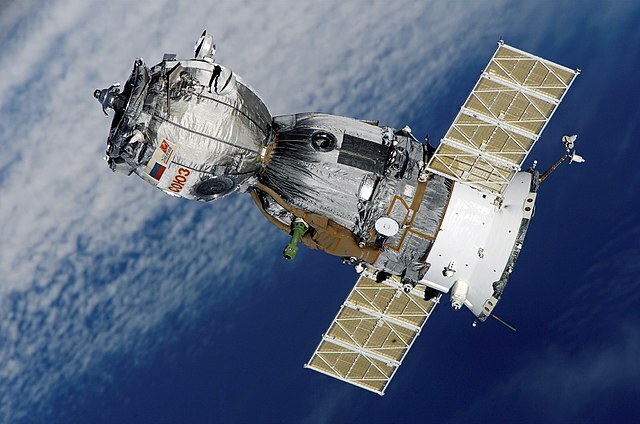 One of the most fundamental differences between the cargo version and the inhabited version of the spacecraft concerns precisely this kind of situation. One of the biggest risks associated with manned flights is the launcher, which usually contains hundreds or even thousands of tons of fuel, which turns it into a giant bomb if something goes wrong. Fortunately, one can often detect the signs of an anomaly on a launcher before a disaster occurs, which leaves a few seconds to react. From the beginning of the history of spaceflight, the Soviets and Americans have turned to the concept of life-saving towers. The idea is simple : at the top of the space capsule, a small rocket is installed. It is responsible for very quickly remove the capsule launcher in case of anomaly. This is a similar system on Lockheed Martin’s Orion spacecraft. SpaceX and Boeing have chosen to slightly modify their concept : rather than having the engines of escape in traction, they have integrated it into spaceships and they work in propulsion. SpaceX has developed the Super Draco engine for this. Crew Dragon will be equipped with eight Super Draco engines, grouped two by two. They burn hydrazine and their thrust is scalable. SpaceX had the idea to push its capsule with the help of retro-rockets, one of the specialties of the company. But it’s finally two parachutes who will take care of it. Crew Dragon is intended to be at least partially reusable, always to lower the costs of access to space. The spacecraft consists of a capsule capable of housing four astronauts, and a service module where take place the solar panels and radiators necessary for the power supply of the spacecraft. Onboard SpaceX’s spacecraft, American astronauts are expected to enjoy a welcome comfort, after years in the comfortless russian Soyuz capsules. They will have an appreciable volume, touch screens and leather seats. In terms of safety, another very important element of Crew Dragon is present on the rocket on which it will fly, the Falcon 9 Block 5. It was designed to offer maximum reliability, reducing the risk of accidents similar to that from 2015. Crew Dragon is expected to fly for the first time unmanned in November 2018. The first manned flight is scheduled to take place in April 2019. SpaceX is expected to launch a first unmanned flight of its space capsule Crew Dragon in November this year. Elon Musk’s company is therefore three months behind schedule. In April 2019, a crew of two astronauts will board the space capsule. If the dates are confirmed, it will be necessary to salute the efficiency of SpaceX. The company has indeed received much less money from NASA than its competitor Boeing to develop its space capsule. It will however launch its capsule first. If all goes well, this should quickly pave the way for ISS service flights. Without further delay, the United States of America will finally regain an independent capacity for manned flights in less than a year. Astronauts Robert Behnken and Douglas Hurley will make the first flight aboard SpaceX’s Crew Dragon capsule. For the first time since 2011, an American crew will fly into an American spaceship. Behnken and Hurley are both veterans of the space shuttle program. But we imagine that the experience will be very different aboard a space capsule. The SpaceX Crew Dragon capsule is a lighter vehicle than the Boeing Starliner capsule. It is designed to be fully autonomous, but astronauts on board will obviously be able to take control. Four large parachutes will allow it to bring the crews gently to the ocean. It relies on SuperDraco engines developed internally to allow it to escape in case of trouble with the launcher. It is probably the first space vehicle for which we can say that aesthetics has counted in the development : the combinations and the capsule are visually refined. Elon Musk announced last Wednesday on Twitter that SpaceX is abandoning the idea of ​​a retrorocket landing for the Dragon capsules. He simply said that he no longer considers retrorockets as really useful for Dragon. The capsule will land at sea using parachute. This announcement still raises questions about SpaceX’s Martian ambitions : indeed, the retrorocket landing is one of the prerequisites of the program. The development of the inhabited version of the Dragon V2 space capsule is now at the center of SpaceX’s attention. 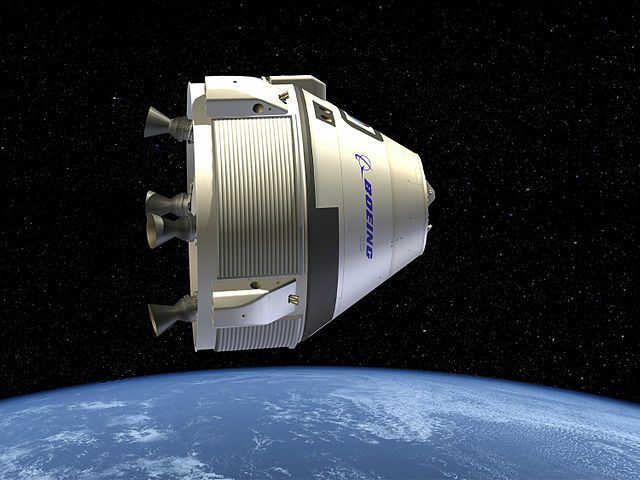 The competition is fierce : NASA has allocated a budget of several billion dollars for the development of the inhabited version of Dragon, but for Boeing and its CST-100, $ 4.2 billion has been released. For now, SpaceX is certainly the best hope of the United States to quickly find the expertise of manned flights. The cargo version of Dragon has proved his reliability since 2012 and if we look at the SpaceX calendar, Dragon v2 is less than a year from the first shot. On its side, Boeing announces a launch of its CST-100 in August 2018, a few months after SpaceX. The race is launched between the two private companies. SpaceX continues its pace of launches and advances in technology as well. Sunday’s shooting is no exception. Indeed, the US company has reused for this shot to the ISS a Dragon capsule, which has made its second flight. SpaceX is once again demonstrating its abilities in term of reuse. The Dragon capsule is an automatic cargo ship with a capacity of 6 tons to the International Space Station. Since the beggining of space shuttles, it is the only spaceship able to bring a large amount of cargo to Earth from the space station. It also serves as the basis for the development of Dragon V2 which should be able to bring and bring back human crews. This new inhabited version is expected to make its first flight in December of this year. Sunday’s flight is the 11th meeting between a Dragon cargo ship and the International Space Station. 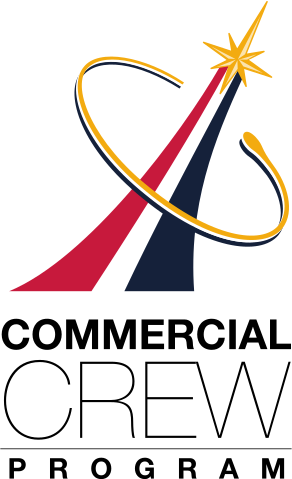 It is the demonstration of a total control of the techniques of space rendezvous and atmospheric reentry. For the moment, the landing of the Dragon capsule is done with a parachute, with retro-rockets to slow down while its atmospheric re-entry. Ultimately, this capsule could be able to land only with the help of its retrofuses.